Humans like to go skiing but how about animals? 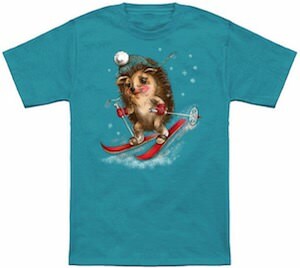 This t-shirt shows a hedgehog on ski’s and it seems to really enjoy playing in the snow. The animal has red skies and mittens and a fun winter hat. 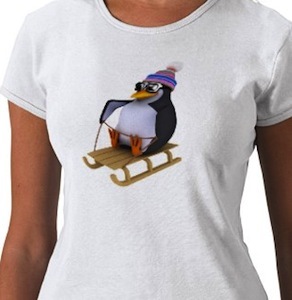 So if animals and winter sports are your thing then maybe you should wear this t-shirt. You can get this t-shirt in a bunch of colors and in styles for both men and women and you can pick a size between Small – 6XL so that you can get the perfect size for you. If you don’t like to be cold then maybe wearing this t-shirt is not what you should be wearing when it is freezing but it does give a clear message. 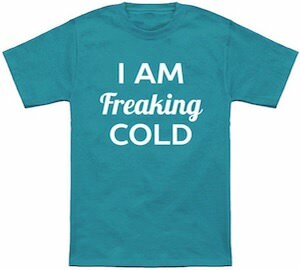 On the t-shirt it says in big letters “I am freaking cold” and that is easy for people to understand and that way they know that maybe the should turning the heat on. 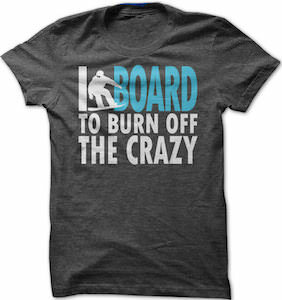 You can get this fun t-shirt in men and women’s styles and it comes in many colors and sizes Small – 6XL. 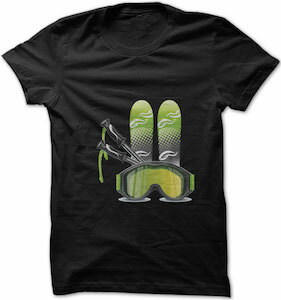 Get ready to go out in just a t-shirt when it is cold and this t-shirt may just what you need. This would be my favourite t-shirt to wear on a hot summer day. Simple I like winter and cooler weather. And this t-shirt says “Winter is coming” all printed on banners that look a bit distressed. 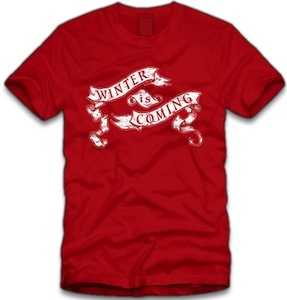 I show you the red version as I liked the look of it but this winter is coming t-shirt comes in a range of colors and sizes. 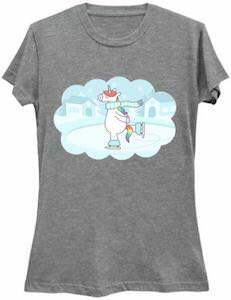 So promote the cold by wearing this Winter Is Coming T-Shirt.